Today, the majority of people spend more time with their smartphone than, well, with actual human beings. Our phones are always at our side. They join us when we exercise and commute to work. They keep us company while we eat, watch TV, and even back us up when we belt out or favorite tunes in the shower. When we misplace them once a day, we feel a fleeting sense of panic as we frantically track them down. 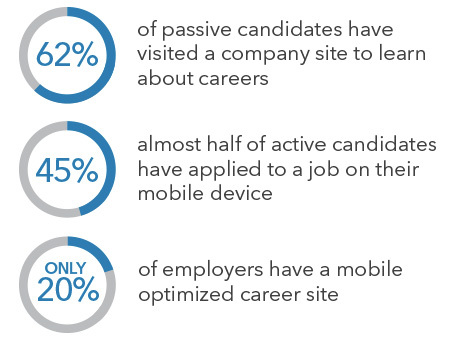 The point is, everyone has gone mobile - and that includes your company’s candidates. In fact, 72% of active job seekers and 62% of passive candidates say they have visited a company site from their mobile device to learn about careers. With this statistic in mind, one would guess that the majority of companies are all over mobile recruiting, right? Wrong. According to a LinkedIn survey of more than 3,000 corporate talent acquisition leaders, only 13% of companies have invested adequately in making their recruiting process mobile-friendly. This is a big problem. Just because your company website and career site isn’t mobile-optimized, that doesn’t mean that candidates aren’t accessing them via mobile devices. If you haven’t developed a mobile recruiting strategy, what they are accessing is a clunky, hard-to-use page, making it difficult if not impossible for them to find and apply for positions that could be a perfect fit. That negative experience leaves a sour taste in the mouths of talent everywhere, as these real-life comments from frustrated candidates illustrate. While your company may have a beautiful website and seamless application process via desktop, if the site isn’t mobile optimized, candidates that are researching and applying on their mobile devices just aren’t seeing it. Essentially, you are a completely different company on desktop and mobile, and your talent brand could be taking it on the chin in the process. During this phase, a professional is researching your company, including your talent brand and the opportunities you offer. When learning via mobile, she is often on the go (during her daily commute or waiting in line somewhere) or multi-tasking on the couch after hours. She may be accessing your careers site or checking out your presence on social networks. . At this stage, she isn’t a candidate yet: she’s merely sifting through your job postings and looking for the right fit. 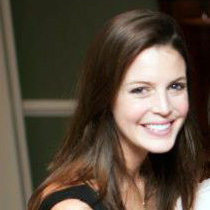 After finding a position that’s a fit, the candidate seamlessly applies to your job through a mobile device or tablet. Ideally the whole process takes no longer than a minute and (gasp!) does not require a resume or cover letter. The candidate is now into consideration phase and expects prompt updates via SMS, email, or a good old-fashioned phone call (turns out your device does that as well!). She knows that recruiters are “always on” and demands attention and responsiveness from everybody involved in the hiring process. Have you thought about or already optimized for each one of these steps in the candidate’s mobile experience? 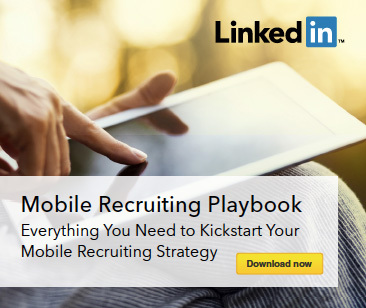 Our recommendations for your next steps are available in our new Mobile Recruiting Playbook, which includes advice from experts at Starbucks, Prudential and Abbott. You can download it here.